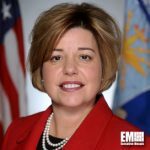 Heidi Grant, deputy undersecretary of the U.S. Air Force for international affairs, has said U.S. allies and international partners are in need of command-and-control platforms for use in high-end fight and humanitarian response missions, Defense News reported Monday. Grant told Defense News reporter Vago Muradian in an interview that there is also a demand for intelligence, surveillance and reconnaissance capabilities among allies. She discussed the service branch’s efforts to reform the arms export process especially in the foreign military sale of fighter jets such as F-15 and F-18 aircraft. “We’re looking at how can we speed up the process, how can we make it more affordable for our partners,” Grant said. Grant also tackled United Arab Emirates’ partnership with the U.S. that stemmed from the former’s purchase of F-16 fighter planes as well as its efforts against the Islamic State militant organization as part of a U.S.-led coalition.